So why not start with a real programming language, and embed a build management tool in that? E.g., build up a list of filenames, fetch a build rule from a database, etc. # What does the program depend on? # Which version are we building? E.g., how to represent many-to-many relationships? Ruby on Rails automatically handles object/relational mapping, constructs stubs of unit tests, etc. But what if code is only almost duplicated? Skip over argument parsing, file I/O, etc. 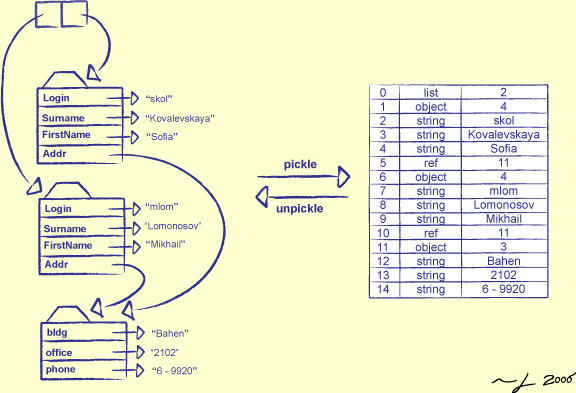 Draw pictures of data structures, data flow, etc. Is the code documented in a consistent and readable way? Are file, class, method, parameter, and variable names descriptive? Is the flow of control easy to follow? What about the class structure? Do conditionals cover all cases? Do all loops have an exit condition? Do they handle the zero-pass case? Do functions check that their inputs are valid? Do callers check return values for errors, or handle exceptions that might be thrown? Are errors handled in a standard manner? Are error messages descriptive and helpful? Are there any magic numbers or machine-specific filenames? Try it out on users, then fix it! Create rough sketches showing menus, buttons, etc. Show them what happens when they click, type, etc. A week of hard work can sometimes save you an hour of thought. Anything worth repeating is worth automating. Anything repeated in two or more places will eventually be wrong in at least one. The three chief virtues of a programmer are laziness, impatience, and hubris. It's not what you know, it's what you can. The deadline isn't when you're supposed to finish; the deadline is when it starts to be late. Tools are signposts, not destinations. Code unto others as you would have others code unto you. Every complex file format eventually turns into a badly-designed programming language. Tools are amplifiers: they allow good programmers to be better, and bad ones to be worse. They call it computer science because it's experimental. Programs come and go; data is forever. There's no such thing as one program. Discipline matters more than genius; reality matters more than rulebooks.